e-Mail invitations: Approved "Initiators" can send invitations to suppliers. On-line Form: Fully customizable form, with conditional logic. 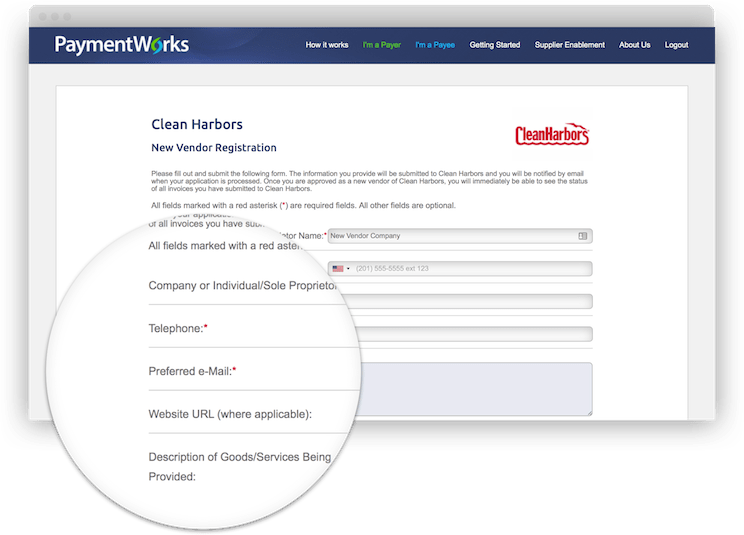 Approval Workflows: Multi-step workflows prior to vendor master creation. Approval Workflows: Changes are approved using multi-step workflows before updating the vendor master. Document Storage: Real-time access to supporting documents (W8s/9s, bank verification, insurance certificates). 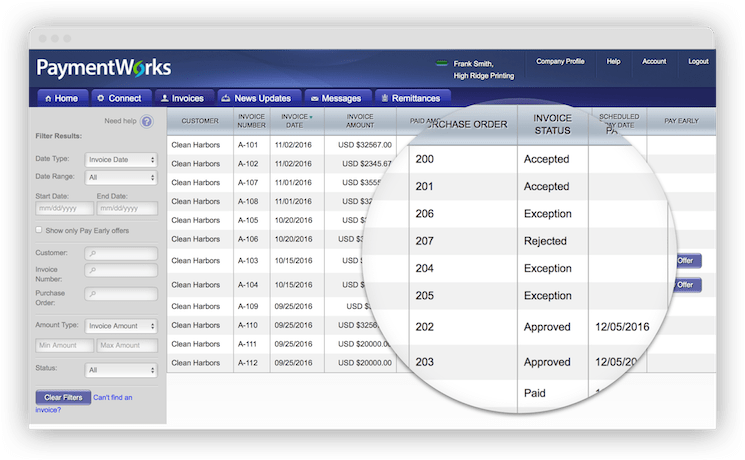 PaymentWorks provides continuous screening and monitoring of supplier information. Addresses: All address information screened for accuracy and standardization. Tax ID Numbers: TIN / Name matching against the IRS database. 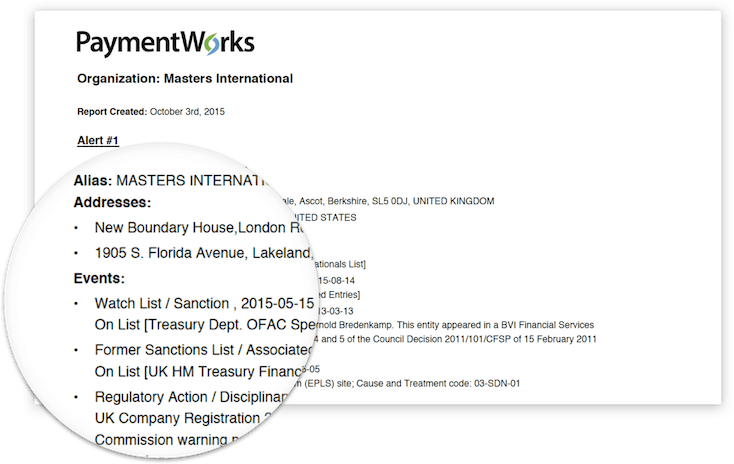 PaymentWorks gives suppliers transparency into the invoice approval and payment process. 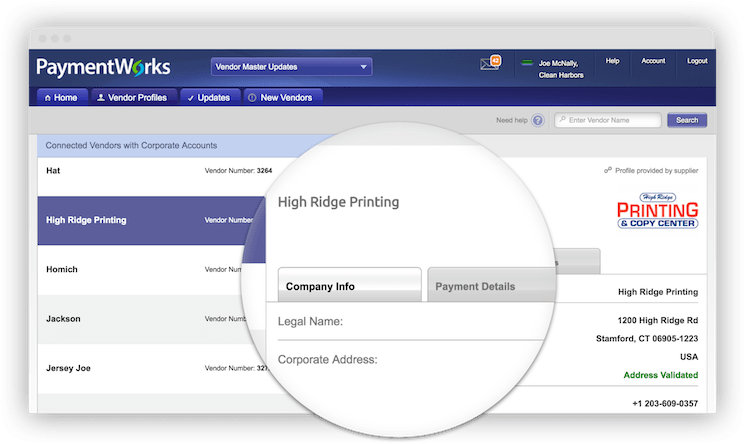 Invoice Status: Suppliers can view the status of invoices. Remittance Details: Suppliers can access remittance details. Messaging: Suppliers can send messages. 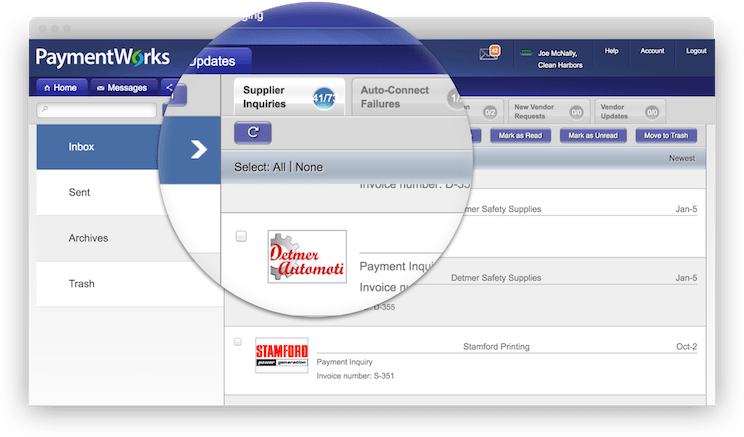 PaymentWorks enables you to receive and respond to inquiries from suppliers about an invoice or a payment. E-Mail Routing: Message routing based on pre-defined rules and workflows. Reporting: Analyze message activity to determine root cause of inquiries. News Updates: Share policy information with suppliers. 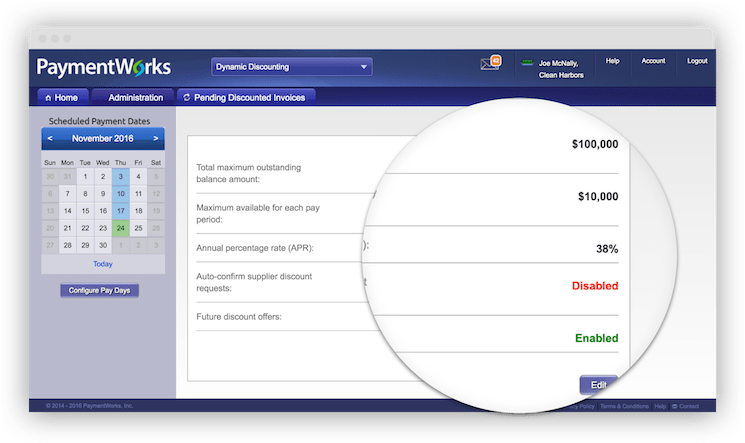 PaymentWorks allows you to extend discounted early payment offers to suppliers for approved invoices. Configurable: You determine which suppliers are eligeable, limits by pay periods, and the interest rates used to calculate discounts. Approval Workflow: Ability to approve accepted offers before updating payment records. Terms Updates: Easy to update payment records in ERP. Leverage self-service and collaboration with suppliers in the cloud.